Joining CBAS means joining an incredibly talented and motivated group of people who share our vision of pioneering an industry and changing the lives of millions of people for the better. Team members range from highly talented engineers and developers to experienced clinicians. We also offer internships. Successful candidates will: take incredibly complex problems and work to find elegant, simple solutions; work in an open and collaborative environment; care deeply about changing the way we treat chronic illness and helping to make real world change; and have a desire and belief in achieving the impossible. We are looking for a developer with a strong research background in deep learning to work on world-changing projects for neural engineering applications. 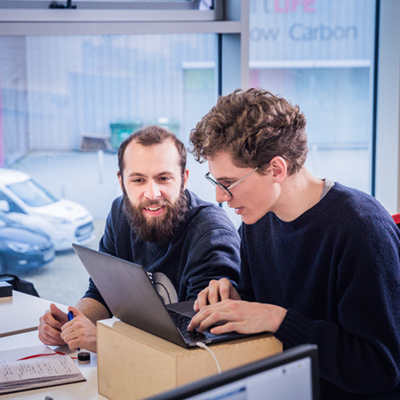 We are looking for a graduate developer with a strong Machine Learning background in deep learning to work on world-changing projects for neural engineering applications. We are looking for a neuroscientist or computational neuroscientist with an academic research background to work on world-changing neural engineering problems. Must have machine learning experience and strong coding ability in Python. We are looking for a product manager with previous experience to manage the development and commercilisation of a digital health remote monitoring product. We are looking for a iOS developer to work on a remote monitoring digital health wearable. We are looking for an experienced test manager with medical testing background to oversee software and hardware verfication and validation activites for the Prosthetic Interface Device. Software testing experience essential. We are looking for an experienced medical engineer with a medical product development background to work on development of the Prosthetic Interface Device. We are looking for an experienced electronics engineer with a medical product development background to work on development of the Prosthetic Interface Device. We truly value our interns and give them real responsibility. Last year, we named two of our interns as co-authors on our NIPS poster. You can read about our intern Raf’s experience here. Accordingly, our internships are extremely competitive. If you would like to apply for the summer, email a CV and cover letter of up to 300 words with “Summer Internship 2019” in the subject line to careers@cbas.global. Additionally, CBAS welcomes applications for graduate internships at any time of year for people enrolled in PhD or other graduate programs in Machine Learning, Computer Science, and Computational Neuroscience fields, or similar. If you would like to apply for a graduate internship, email a CV and cover letter of up to 300 words with “Graduate Internship” in the subject line to careers@cbas.global.